Card size 10 x 10cm. 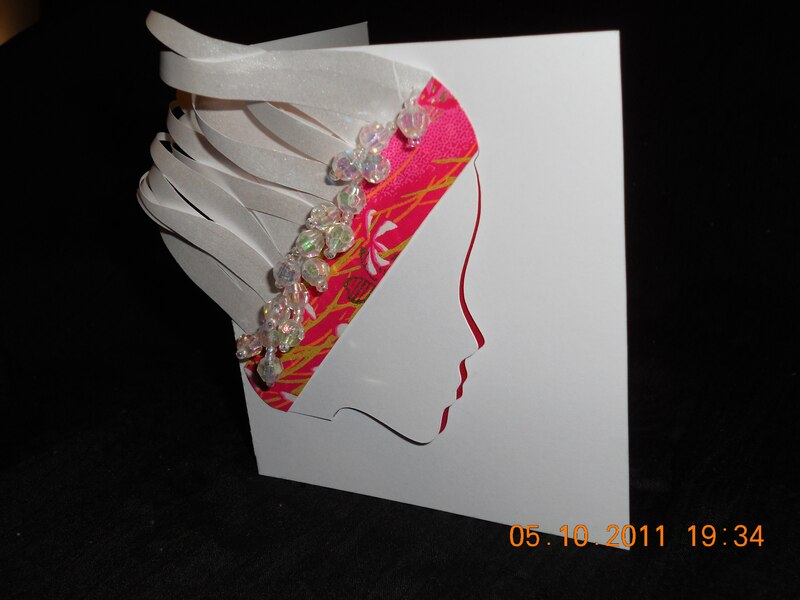 1 page white stock card folded. Cut a 1cm width strip from Japanese pattern paper for the headband. Cut Profile face on white stock card, making sure that the profile face is not cut through. 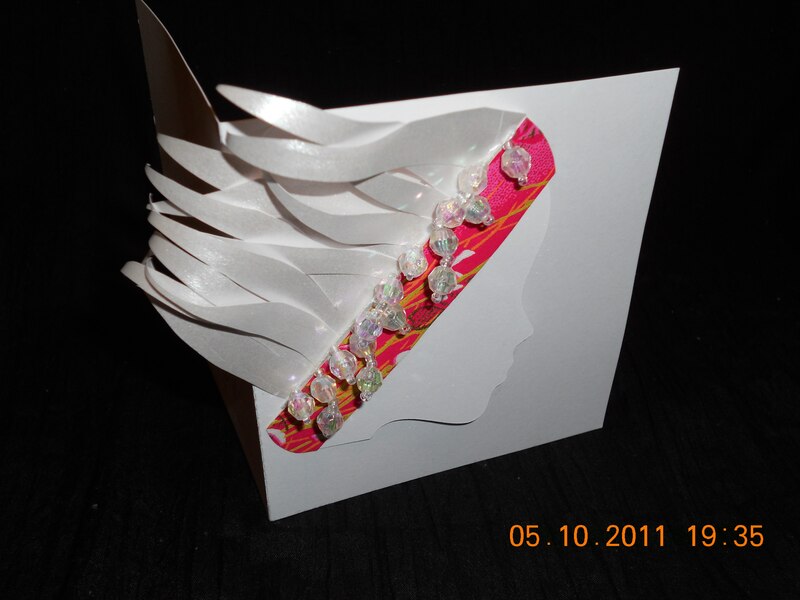 The face is folded slightly away from the card for a 3D effect by placing foam adhesive between the face and the backing. Place a red card stock behind the front white card so as the red colour will show under the profile face. Add jewelry embelishments to the headband.